Mile 16: Early morning scene biking on County Road 900E near Cornell, IL. The clouds this morning were striking. A relatively long ride today (85 miles) so we started out about 7:30 am. 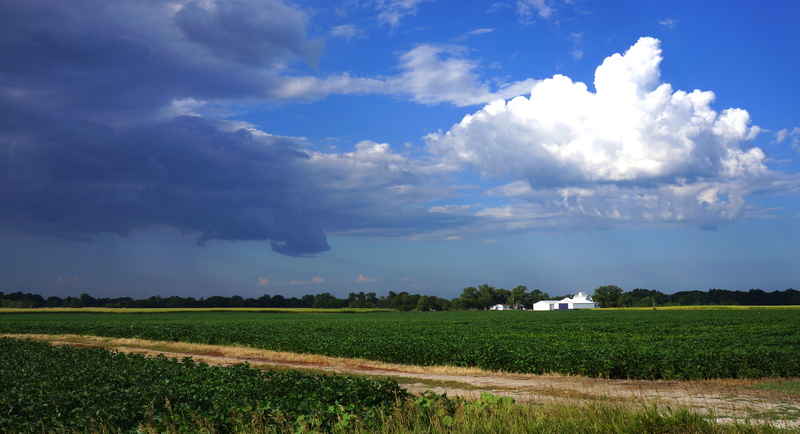 The riding, similar to yesterday, was primarily on very rural county roads lined by corn and soybean fields (many showing severe signs of drought). While the sun was in and out of the clouds during the day, the temperatures remained comfortable for most of the day. We benefited from a great tailwind that enable fast riding so we all arrived in Watseka about 1:30 pm (even after stopping for lunch at the Subway in Ashkum, IL). A highlight for me was riding alone miles and miles at 22-24 mph along a remote county road without traffic and surrounded by fields of green crops and blue and white wildflowers (see photo below for an example) on the roadside. 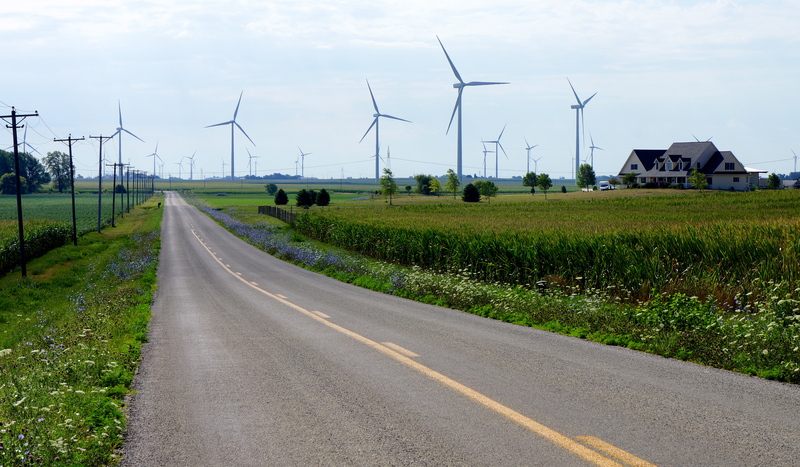 Mile 35: I was surprised to bike through a third large area (dozens of square miles) of windmills (to many to count) in Illinois just outside Odell. 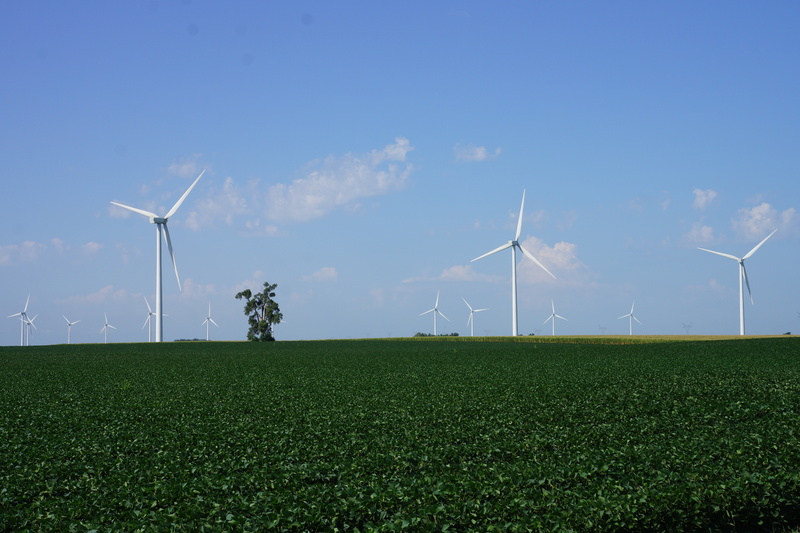 Mile 37: Another view of windmills outside Odell, IL. 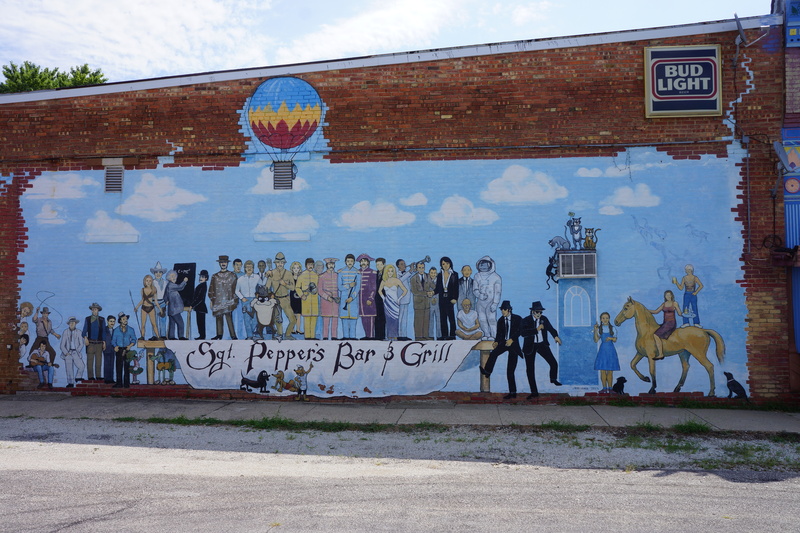 Mile 50: A mural outside a bar and grill in Kempton, IL. 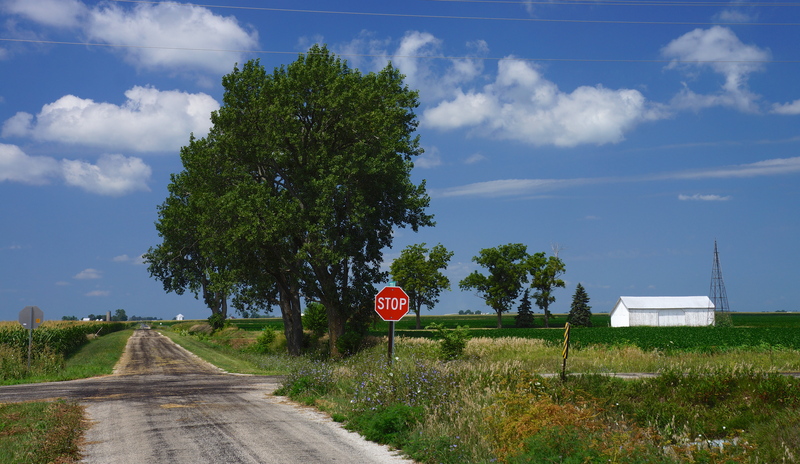 Mile 65: This may have been the most beautiful road (County Road 2700N near Ashkum, IL) on today’s ride – a single lane smooth paved road bordered closely on both sides by corn and soybean fields. I didn’t see an auto while biking on it. 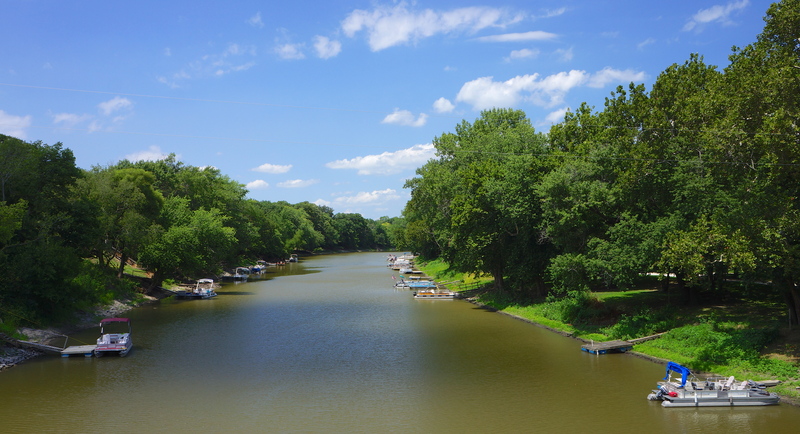 Mile 75: A view of the Iroquois River on County Road 2400N showing vacation docks and boats. This entry was posted on July 27, 2012 by Steve. It was filed under Photograph of the Day .